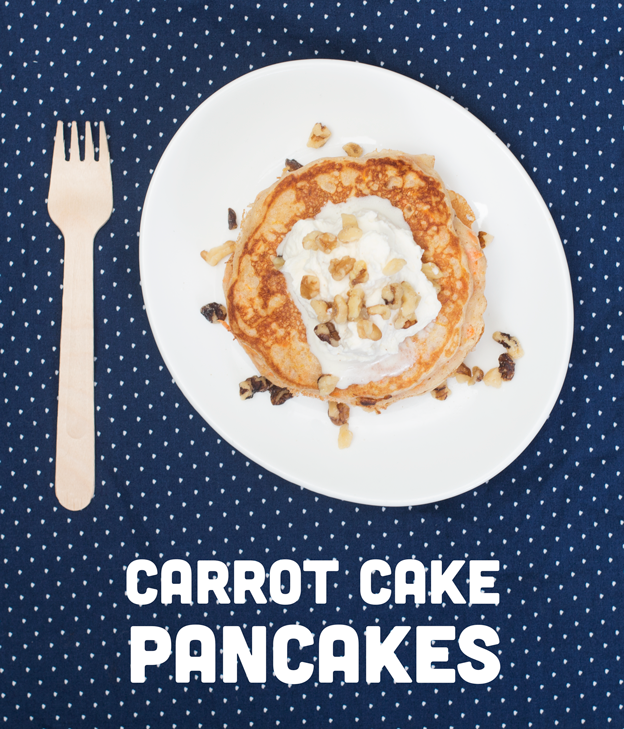 CARROT CAKE PANCAKES + A GIVEAWAY! Peek-a-boo I’m still alive here I am with pancakes plus a giveaway! Stephanie Le from i am a food blog and there’s a bunch of us that are shooting all the confetti emojis out to celebrate it. 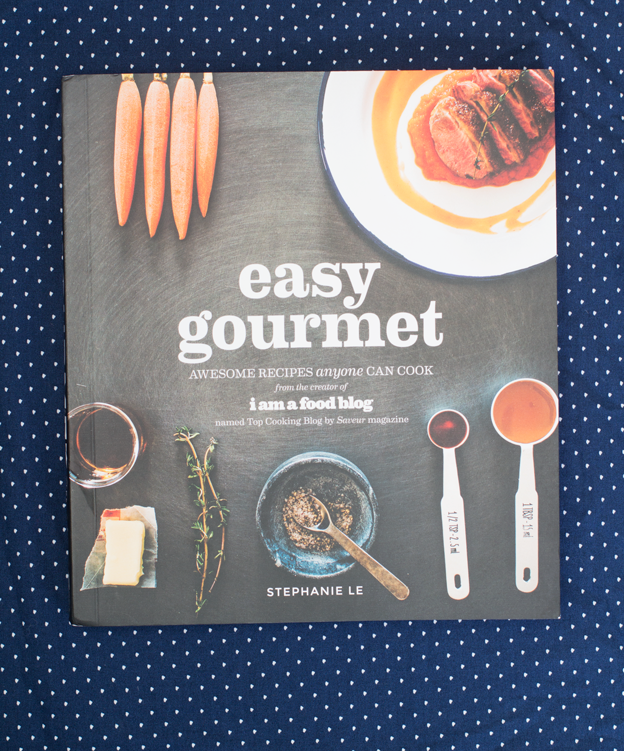 I love everything Stephanie does and this book is no exception. So much good, so much pretty . Did I make out with the book when it came in the mail? Maybe just a gentle kiss. Seriously every recipe in here is a winner. Simple, easy, awesome food that’s great for all skill levels. On top of all the food goodness it’s filled with her insane photos and graphics (xtra luv) and it’s just all the best. You’re baby is beautiful, Stephanie. I get to share the carrot cake pancake recipe with you today and it’s crazy crazy good. Basically we’re eating dessert for breakfast and I’m really excited about it and I have Ramona eyes any time I do that thing where parents trick their kids with hidden vegetables except we’re tricking myself with hidden dessert. 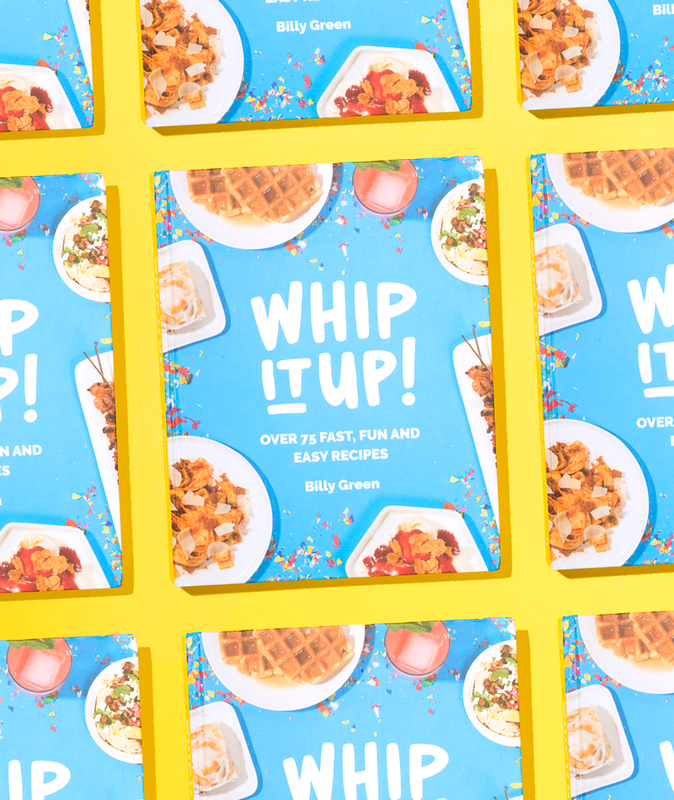 And before the recipe: We’re giving you a copy! All you have to do is leave a comment below letting me know what other desserts I can make that I can pretend are breakfasts and I’ll randomly choose one of you! Giveaway is open until midnight on Saturday and is open to US residents only. combined. Let batter sit for 10 minutes while making the vanilla mascarpone. In a bowl, cream together the mascarpone and sugar until the sugar is dissolved. whipping cream and mix in the vanilla. Set aside in the fridge. stirring constantly. Set aside while making the pancakes. Heat a nonstick frying pan over medium-low heat. Brush a thin layer of butter or oil on your pan. Drop the batter 2 tablespoons (30 ml) at a time into the pan. you’re done with the batter. Top the pancakes with vanilla mascarpone and toasted walnuts. BAKED PEANUT BUTTER CUP DOUGHNUTS WITH SEA SALT + A GIVEAWAY! 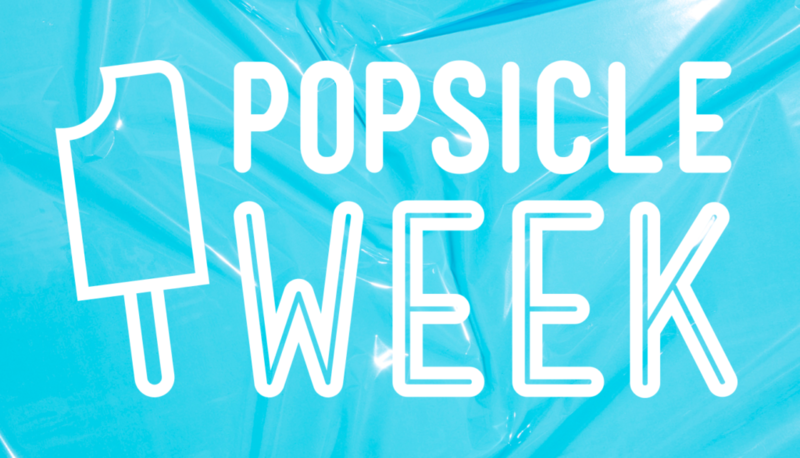 BBQ ROASTED CHICKPEAS + A SERIOUSLY DELISH GIVEAWAY! Baked oatmeal — if you put the right stuff in it, it tastes like an oatmeal cookie casserole! I looooove making carrot cake things! These sound unreal! You could also try making cake-cake for breakfast…always a good thing. These pancakes sound just delightful! I myself like to make a simple yogurt cake with a lot of plums sunk in the batter and just eat that for pretty much every meal until it’s gone, breakfast included. 🙂 Thanks for the giveaway opportunity! Chocolate cake! with some kind of a ganache situation. yep. dooooo it! i have to get my hands on this beauty of a book! In my life and in my belly this weekend! how about nutella-stuffed banana bread french toast for breakfast? totally healthy with the bananas and the protein from the hazelnuts, amirite? Chocolate peanut butter oatmeal no bake cookies… I mean that’s pretty much jazzy oatmeal in my book, and oatmeal is a wholesome breakfast. These look so amazing! I am digging that mascarpone walnut action you’ve got going up top there. Dessert for breakfast is definitely my forte. I recently just made a chocolate crepe cake, out of oat flour and other ‘breakfast-worthy’ ingredients (but seriously who are we kidding what isn’t worthy of the first meal of the day?). I maintain that anything can be considered a dessert. So for me, a bowl of oatmeal with dark cocoa powder, maple syrup and yogurt is dessert! I make french toast for dessert all the time. Gives me an excuse for chocolate chips and whipped cream on it. This looks fabulous! How about White Chocolate Raspberry Waffles? Dessert, breakfast, deliciousness… all in one. Welllll, last night I made a raspberry cheesecake and I had a piece for breakfast because it had to chill overnight and I really wanted to try it. Sooooo. How about chocolate cake served up coffee cake style. Now that is a dessert-fast. Pumpkin Pie is something great this time of year, I’m thinking pancakes, waffles or even oatmeal! I’m thinking this could make a delish breakfast – Chocolate Crepes with Fresh Strawberries. Yum! I cannot wait to try these. Two of my favorite things combined! This cookbook looks so good! I will definitely try these pancakes. I love making scones and muffins that can double as dessert or breakfast. Also pretty much any cake is delicious with coffee. Dessert for breakfast is always a plus. I can’t wait to try the carrot cake pancakes. Cakes and cupcakes with fruit in them are totally acceptable for breakfast! These look delicious! It’s always such a struggle to get veg into kids so anyway I can sneak them in I’m on it. They’d never think in was sneaking them in for breakfast. I’d love to see a novel recipe for porridge or muesli. This will satisfy my carrot cake cravings without having to go thru the agony of hand grating a million carrots. This problem could also be solved by me finally purchasing an adequate food processor but for now….pancakes! If you replaced yogurt in any kind of trifle or parfait and throw in a lot of fruit, it basically a breakfast food. Could you please tell me how I can eat a snickers bar for breakfast? Oh my gosh! Ramona eyes! Hahahaha! I’m head over heels for these pancakes! Carrot cake is my faveeeee. Crammed full of everything oatmeal cookies…lots of nuts, craisins, raisins, sunflower seeds, etc…crunchy goodness and I tell myself it’s a kinda healthy breakfast! Ugh, that looks so good! The easiest thing would be muffins or scones, but I would prefer something that reminds me more of my German background – maybe a plum or apple streusel! Please make Wonuts….donuts made in waffle maker…glazed ones would look just like waffles…..while you have the waffle iron out make some Liege Belgian waffles (you have to try these if you never have…the pearl sugar makes them amazing) another dessert that looks like breakfast…..they could accidentally fall in some Belgian chocolate. PIE, PIE, all the PIE. But carrot cake pancakes don’t sound too bad. I’m thinking a little nutella crepe action qualifies as dessert AND breakfast. i think apple pie counts! a serving of fruit for breakfast. Cinnamon roll pancakes with melted cream cream icing. I made them a while back and they are so fun to make and delicious! French toast stacked with nutella and strawberries! I love eating leftover berry or apple crisp for breakfast… You can substitute yogurt for the accompanying vanilla ice cream… or not! The other day, my co-worker brought in some sweet treats– a sweet roll pastry filled with almond paste, topped with mascarpone. I’ve never had anything like it, but it was absolutely amazing! It was sweet, but not overly– perfect for breakfast, I think! Oatmeal cookie. A huge one. With chocolate chips. Cheesecake French toast. These pancakes sound redonkulous! With mascarpone even!!! I guess I didn’t understand your question because I was under the impression that breakfast and dessert were basically the same thing. I guess I need to investigate my AM eating habits.